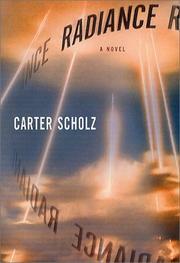 A thoughtful, knowledgeable exposé of half a century of America’s nuclear weapons industry that also makes a surprisingly absorbing first novel about a group of scientists competing for ascendancy at a California Bay Area lab. By his late 30s, Philip Quine has fairly well squandered the brilliant scientific talent that initially won him his coveted position in J Section, R&D in Advanced Nuclear Concepts at the “Lab,” a think tank of brainy, eager-eyed University of California talent, probably modeled on Lawrence Livermore. Under the charismatic leadership of Leo Highet, a kind of oily p.r. man and prince of darkness whose adoration of Leonardo da Vinci gives him license to reckless arrogance, the Lab, goaded by an early ’90s conservative administration, is pushing to develop the so-called Superbright laser, the jewel in Highet’s wildly extravagant Radiance antimissile defense shield. Quine, cautionary by nature to the point of being unable to commit himself to longtime girlfriend Nan, warns Highet of overstating the laser’s capacity and even writes up an internal whistle-blowing report that eventually becomes the evidence that sinks Highet into scandal. Newly appointed acting director, despite his conflicting romance with Lynn Hamlin, a paralegal at Citizens Against Nuclear Technology, which demonstrates regularly against the Lab, Quine must appease the Department of Energy by switching the Lab’s direction to “dual benefit” and rooting out staggering cases of fraud, theft, and treason. Scholz, a composer of experimental computer music who lives in Berkeley, clearly knows his stuff, and from the inside. His narrative, far from being dry or academic, is densely layered, moving in and out of dizzying double-speak and acronyms, with a roiling display of personalities (the men are the scientists, the women the love interests), such as the emeritus founder of the Lab, Aron Reti, espousing the “cult of the beautiful theory,” and numerous wily senators. A journey into “complexity on the edge of chaos,” shaded by deep-felt despair.